It's that time again! LuxePineapple Post's second box is here with makeup, skincare and another unique accessory to add to your spring wardrobe. If you missed my initial feature for this box, you can read all about it here. Let's dig into this gorgeous box! Mereadesso All-in-One Moisturizer | $28| This packet is quite deceiving in size, but subscribers received about three weeks worth! That's plenty of time to see if it works for your skin and if you'd like to purchase the full size. The formula is smooth, nourishing and absorbs very quickly. This moisturizer has 16 botanical extracts, 8 minerals and enzymes, and over 30 antioxidants. That's a lot packed into one product! Side note - I love the style of this packet because on the back there is a cover that snaps over the area you can dispense the product from. I wish all foil packets came like this! LuxePineapple Luxe Liners in Rich Navy & Penny | $15ea | If you recall from my initial post about this subscription, the new items in the LuxePineapple collection will be making their debut in LuxePineapple Post. So subscribers get first dibs on all these makeup items! I love these liners - they are a twist-up style with a built-in smudger, plus they're waterproof! Perfect for the summer or even if your eyes tend to water during allergy season. I've been wearing Penny a lot on my lower lashline and it goes beautifully with so many looks. Navy is a great option as opposed to typical blacks that may be too harsh for this time of year. It's always fun to switch up your makeup basics! 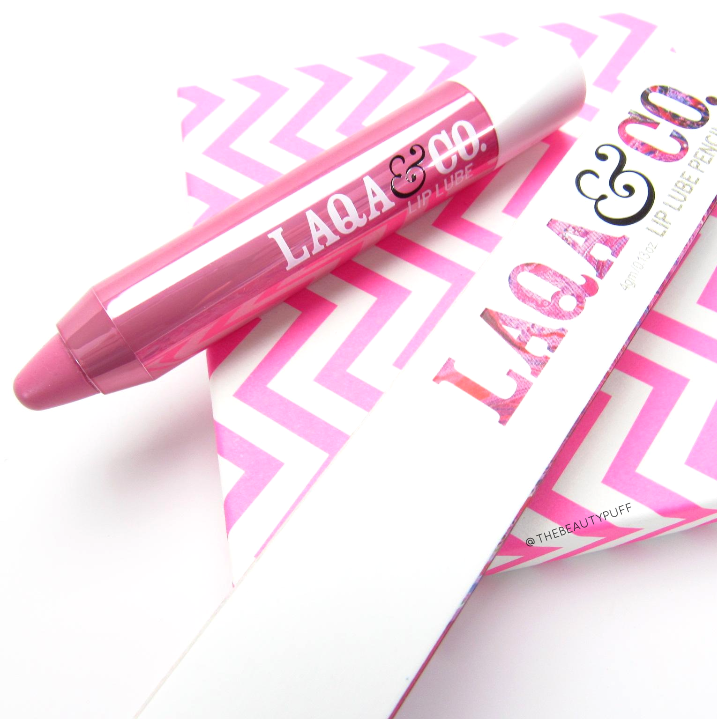 Laqa & Co Lip Lube Pencil in Honeypot (other color - Grapescotch) | $20 | I LOVE this lip pencil. It's one of those great lippies you can apply without a mirror and still get plenty of color and moisture all-in-one. It has peppermint-shea butter for an ultra-smooth, minty lip that's perfect for any time of year. This shade in particular is really pretty. It's an effortless pink that's not too vibrant, so it's great for travel or in your purse. Fornash Boho Necklace (colors vary) | $25 | Another great find from LuxePineapple! This necklace is long and will pair beautifully with classic tops, spring dresses, you name it. I'm glad that I got the white because it's so versatile and eye-catching paired with the gold color chain. The closure has really pretty detailing too! This particular style is a LuxePineapple exclusive, but Fornash has a great selection of styles including classic, glam, and statement necklaces. Subscriptions are $24/mo with free shipping in the US.